Remember when I said I couldn’t wrap my head around Instagram? Well, I’m a fast learner! 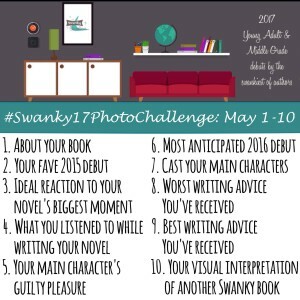 Join me — @MelRoske — May 1-10, for the first annual #Swanky17PhotoChallenge! Follow the hashtag ‪#‎Swanky17PhotoChallenge‬ to learn more about my upcoming middle-grade novel, KAT GREENE COMES CLEAN — and discover more Swanky MG and YA titles along the way. Game ON! 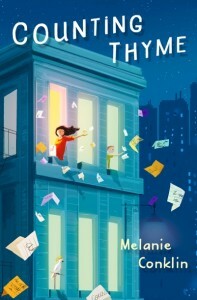 I recently had the chance to chat with author Melanie Conklin about her contemporary MG debut, COUNTING THYME. To read the interview on the Swanky Seventeens blog , please click here. Enjoy! 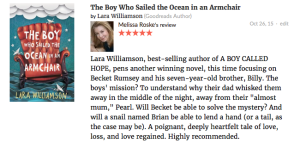 As a member of the debut kidlit authors’ group, the Swanky Seventeens, I’ve been lucky to interview some fabulous YA and middle-grade writers. I’ve been even luckier to read their books. In the coming months, I will share some of my favorites.